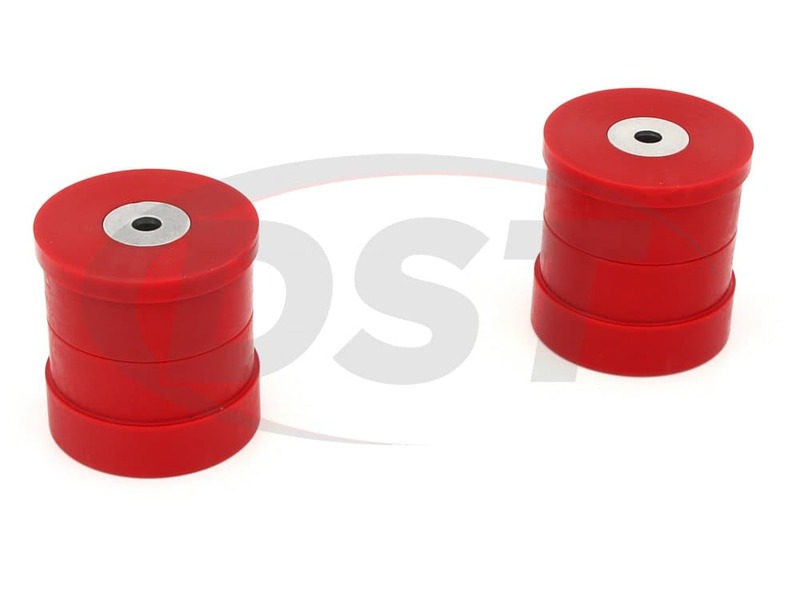 These polyurethane motor mount replacements will not only hold up better than the OE mount, but they are also solid, dramatically increasing your throttle response. When Dodge created the motor mounts for your Ram they designed them with holes, or voids, in them. These voids give the mounts the ability to soften the engine vibrations to make your ride smoother. However, these voids also reduce your acceleration and it takes longer for your Dodge Ram to actually begin applying it's power to the load behind it. Try These New Solid Mounts! 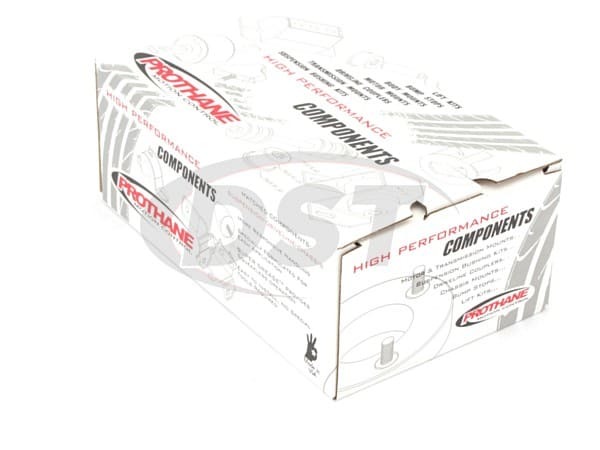 Instead of making a set of those voided motor mount inserts, Prothane has created the 4-510, a set of complete motor mount replacements for the 1994 - 2002 Dodge Ram 1500, 2500, and 3500 models. 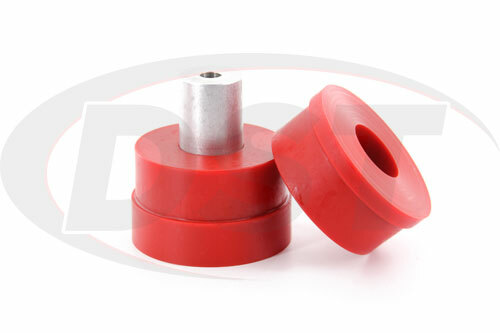 These polyurethane motor mount replacements will not only hold up better than the OE mount, but they are also solid. Making the mounts solid does let some of the engine's vibration's travel through the cab where you can feel it, but it also dramatically increases your throttle response. Installing the 4-510 will make your Dodge Ram perform just the way you want it to! Little to no delay between pressing on the gas pedal and getting that load moving means more efficient use of both your time and gasoline! Available in black or red the 4-510 is ready to ship the day you order it! 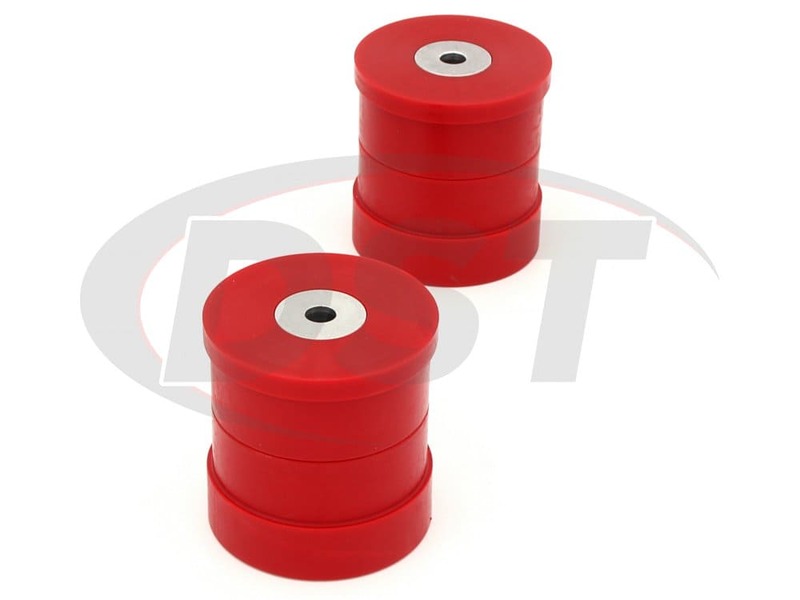 Prothane also backs all of their products with a lifetime warranty handled in-house here at DST. 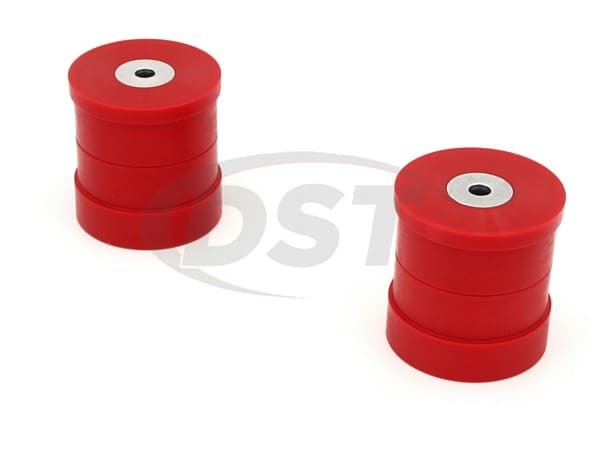 They seem to be fine , but with this style bushing you get a lot of vibration through the truck with that big Cummins, if I had it to do over , and money wasnt an issue I would go for OEM. 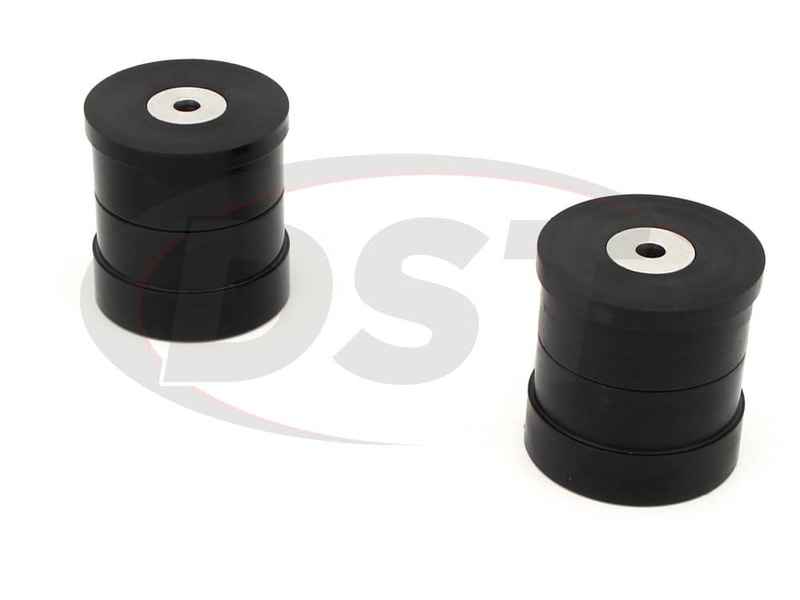 Editors Note: The OEM mount is made of rubber and has voids in the mount that absorb the vibration and noise from the Cummins diesel engine. The Poly mount replacement is a lot stiffer. So, yes it will transmit more NVH into the cab. The plus is the engine will not move potentially keep from damaging the transmission mount. starstarstarstarstar" Nice a solid look like theyll last. " Very easy install. I will recommended this to every one. Very well made and easy to install. starstarstarstarstar" Parts over all are good "
I installed the bushing. Once I got the mounts out which took a long time, the bushings went in easy.  The only thing which is because they are solid my pick up vibrates when at a stop. 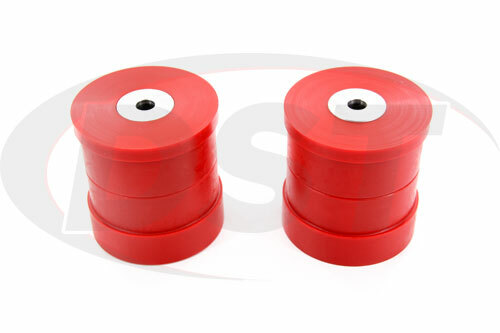 Editors note: The poly urethane motor mounts are stiffer than the OEM mounts. 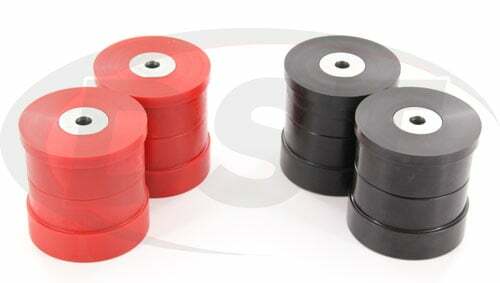 The rubber will flex and absorb the vibrations better than the poly urethane will. With poly mounts because they are stiffer this will keep the engine place. Can part number 4510 be used for worn out mounts? 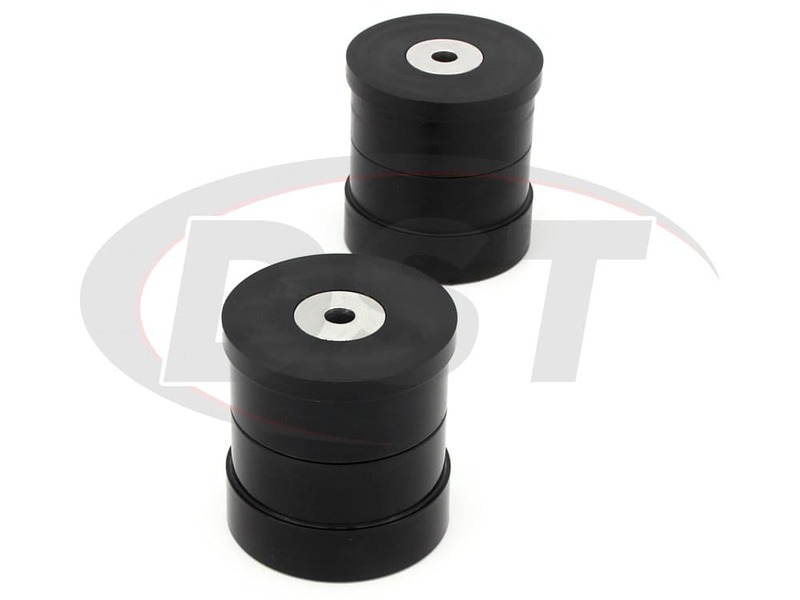 As long as the metal is not damaged, part number 4510 will replace the OEM rubber mount. Will the 4510 fit a 01 Dodge Ram 2500 with a 5.9L motor? Yes the 4510 will fit the 01 Dodge Ram 2500 with a 5.9L motor stock motor mounts. Will part number 4510 work with the diesel? Yes, part number 4510 will work with the diesel.